Manned mission to Mars 50 billion USD. 530 billion yearly on military expenditures. Who would vote on military budget cuts to fund a mission to Mars? This topic gets brought up every few weeks it seems that there’s always a lot of room to clarify federal spending and budgeting and understanding of how money is decided on when being spent. First of all, the federal budget isn’t an “either-or” situation. The US is a debtor nation that happens to hold most of its own debt – more funding for NASA does not necessitate cutting the military budget or vice versa. Yes, the politicians like to argue about that in order to get political points with their constituents, but the big picture budget isn’t a zero-sum game. As thus, a NASA manned mission to Mars does not require a similar reduction in the military (or any other agency’s) budget to be fulfilled. If anything, that should confuse you as to why NASA doesn’t get more funding, given those companies are under the same federal contracting rules for NASA (cost-plus 15%) as they are for the military, so both are equally profitable for them, but I digress. That does lead me to another point: federal spending isn’t actually planned by Congress. They’re planned by the agencies themselves in response to the President’s, submitted to the President for approval, and ratified by Congress. For instance, the President releases his National Security Strategy every few years which outlines the goals of their military and foreign policy including how large they expect the military to be and what they are focused on. In response, the Department of Defense answers with their annual budget proposal which outlines the amount they plan to spend in response to what the President requires the military to be able to do over the next few years. This gets pushed to the President through the Secretary of Defense, gets approved, and is sent to Congress to be ratified. The impact of the President’s focus is huge: for instance, when President Obama took office and made his “pivot to the Pacific” in response to China, the military actually has gotten more money to buy technologically advanced equipment as the wars in Iraq and Afghanistan wound down in order to support the renewed focus on modern militaries. Now, this is where all the news stories about Congress going wild with spending or debating cutting programs comes about: Congress will look at the budget and try to make amendments and other changes and will bring military leaders in front of them to investigate/ask why they need this or why aren’t they spending this. Ultimately though, the changes are generally minor and more for show: the core budget rarely changes drastically. Now, why did I bring this up? For one, NASA is under the same process. NASA sets its own budget proposal – in response again, to the President’s goals – and this gets sent to Congress. Where a lot of the debate over funding the past few years has come about has been in NASA’s focus on earth sciences, which hasn’t been popular with some Congressmen. Likewise, some have pushed for more focus on human exploration, but that hasn’t been the core focus of NASA these past few years. Thus, a lot of the blame around how the military and NASA spends its money gets directed to a lot of the wrong places. A lot of the problems with why NASA doesn’t have a concrete Mars mission on the table has been the lack of political continuity. During the 60s, even with the war in Vietnam growing, LBJ kept Kennedy’s plans for going to the Moon. Likewise, when Nixon took office, he didn’t scrap Apollo. These past few years, however, have saw Constellation nixed in favor of a mission to an asteroid and now that seems to be taken off the books yet again. Finally, all the talk about arbitrarily cutting military spending seems to forget that cuts must affect everything across the board. They cannot be cherry picked and taken arbitrarily. Despite all the talk about their waste, actually plans things out extremely tightly. The talk about the Navy wanting an exact number of ships, or the Air Force wanting a certain number of planes, isn’t arbitrarily pulled out of nowhere: ship deployments are planned years and even decades in advance, and numbers are crunched which estimate the # of planes required not just today, but in 20 years time after accidents/maintenance problems/age take out aircraft built today. In addition, with over 42% of the US military’s budget (both base budget + war funds) being spent directly on benefits and pay, or operations and maintenance administering said benefits and pay, cuts will inevitably affect some of the 3 million plus employed directly by the DOD (military and civilian employees). But let’s say you want to cut money from the acquisitions/procurement budget, which actually is only 19% of the DOD budget which isn’t even good for second place, you suddenly have more personnel than equipment available (for example, the military plans for having 1.5 to 2.0 pilots per aircraft seat per squadron) and thus need to cut personnel. These budget decisions all go hand-in-hand with each area. Of course, cutting people also cuts training and continuity of experience. The military is a never-ending series of apprenticeships – pilots trained today, for instance, are trained by those who have already flown an operational tour in their aircraft. In turn, they were trained by those before them and so on, all the way back to pilots who were trained by WW2 combat veterans. This continuity isn’t something you can stop without severe consequences: institutional knowledge is lost and very hard to bring back. A great example of this is NASA ending the Saturn V and then losing out on how to rebuild the rocket after employees left or moved on to other jobs. They’ve had to reinvent the wheel recently and it’s costing them a LOT more money. So for all the talk about the US stopping getting involved in overseas affairs or wars, it’s easy to say we shouldn’t repeat Iraq. On the other hand, our ability to fight in Iraq is also why we can operate over there against ISIS, whom a lot of people seem eager to at least drop bombs on to stop. Likewise, very few people want the US to leave NATO or to withdraw from our defense treaties with South Korea, Japan, or the Philippines – all of which require the US to maintain forces on two continents and across two oceans in order to simultaneously honor those obligation. Similarly, everyone talks about increasing the amount of humanitarian missions the military gets involved in like it did with the earthquake and tsunami in Japan or the typhoon in the Philippines – but all that necessitates keeping those same logistical capabilities that results in the US having over 500 aerial refueling tankers compared to Russia with 50. Ultimately, both NASA and the military are instruments of the government’s policy. 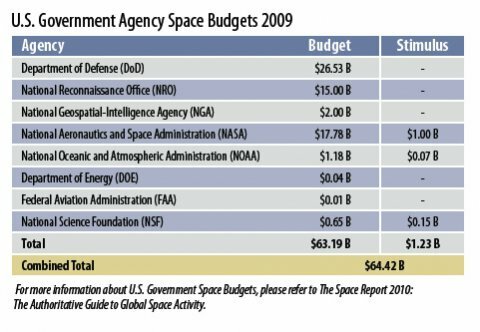 The US military and defense-related agencies account for over two-thirds of the country’s space budget. This includes the US military being in charge of monitoring all space debris (which helps NASA immensely), maintaining and launching GPS satellites (something everyone gets without needing to pay a subscription fee of any kind), buying weather satellites (which NOAA then administers), and even printing out aeronautical navigation charts and instrument approach plates for the safe landing of aircraft in bad weather. 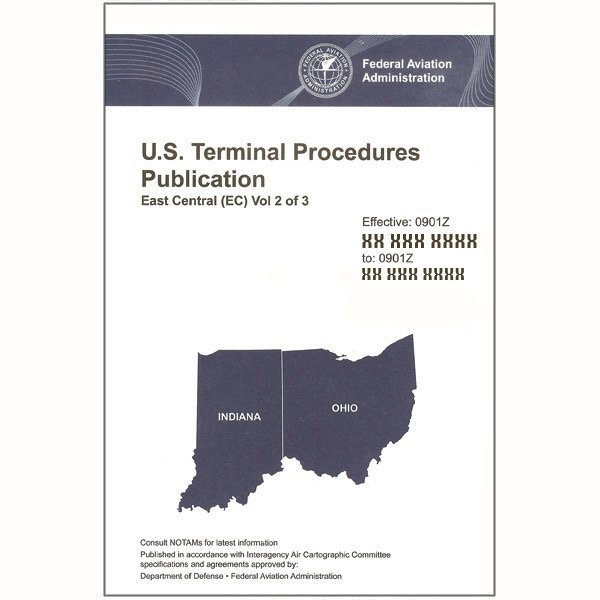 Take a look at this civilian approach plate – notice that it says FAA and Department of Defense on there. The military and NASA have been intertwined since NASA’s founding and both support one another’s missions. Whether its the fact that over 60% of all astronauts have been active duty military officers (even household names like Alan Shepard, Buzz Aldrin, John Glenn, etc. were all active duty military officers while they were astronauts) or the numerous joint projects (like the X-51, X-37, etc. ), it’s always been the case. It’s not a coincidence that the three nations with independent manned space exploration – Russia, the US, and China – have historically been the three largest military spenders on Earth.